Independent Filmmaking and Digital Convergence: Transmedia and Beyond offers a comprehensive analysis of the technological changes of the past few decades in independent film and media-making, and explores new strategies and practices in media production, exhibition and distribution for independent producers and content creators. 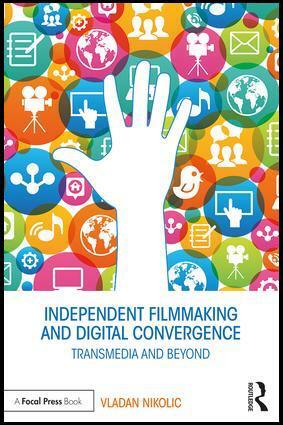 The book examines how independent filmmaking concepts have merged with digital and online technologies to create new hybrid multi-platform content creations. It explores key questions like how to reach an audience at a time when media conglomerates and their products dominate the market, and simultaneously, there is an overabundance of content competing for viewer time. The book investigates what kind of stories we tell and why; how the audience has changed, and what their expectations are; what the various niche markets are for independent producers and creators in new media; and new models for media financing and distribution. - Bridges the gap between professional media-makers and amateurs by focusing on new and emerging media models and practices. - Provides a holistic view of the new media landscape, and practical advice on producing content in the new multi-platform media environment. - Demonstrates how to create financially sustainable models for independent producers and creators in a shifting and unstable environment, providing many challenges, but also opportunities for independents. Vladan Nikolic is an independent filmmaker and associate professor at the School of Media Studies at The New School in New York City. He has made numerous narrative feature films and documentaries, which have screened, won awards and critical acclaim in the United States and internationally. Mr. Nikolic is among the digital filmmaking pioneers, and had taught the first digital filmmaking courses at The New School and at New York University in the '90s. In 2009, he directed and produced the feature film Zenith, which was part of a groundbreaking transmedia project. Vladan has worked and consulted on a variety of transmedia projects since, from film-related to educational platforms, and taught classes and seminars on transmedia internationally, including in Shanghai, China, and at the Hong Kong Design Institute.